ROBERT BOXLEY | YOU'RE U.S. - pronounced "you're us"
–—–Look inside Bob Boxley’s spoken sentence and you’ll find he has a professional sensitivity to how others hear him. Look inside that one word drawn longly, slack as a saliva strand, before another three clustered tight, or inside the mid-range, even tone, which plays host to pathos and comfort in equal measure. Though Bob denies inhaling the “second hand smoke” of his patients’ private dramas, by simply acknowledging such smoke, Bob also acknowledges how much his patients need to find that pathos and that comfort in his voice. It’s all there.The light hues of Bob’s button-ups, beheld by patients for the cumulative days, weeks, months of their treatments, bespeak his inner levity as much as they do the balmy Florida climes in which he’s lived since he was a student. Why so light? Bob describes the importance of “flow-through” in his practice, of not inhaling, of appreciating his patients’ darknesses without permitting them to become his own: Without flow-through, Bob suggests, the troubling confessions of a morning patient would be loosed into that afternoon, would follow him home with unrestricted momentum, passing, finally, through the front door of his condo, which is otherwise the guardian of his extracurricular life. Once inside his living room, these confessions would tentatively step about the floors of raw concrete, exposed by a recent renovation, and, after pulling a handful of roasted nuts from the kitchen countertop, examine the angular, figurative paintings that line the surrounding walls. But this doesn’t happen. As a therapist, Bob knows how to rinse his palate after warmly and stably receiving the often-harsh experiences of that morning patient. And so the colors of his work shirts remain continually soft, his palate continually cleansed, and his home the sealed province of his extracurricular life, the life of a husband, cat-owner, father. Daniel Pearce is a writer and musician living in San Francisco. Daniel’s written interpretation came through with a smooth sensitivity that matched Robert’s profile perfectly. Christopher’s audio edit enveloped this complex profession snugly under one roof. 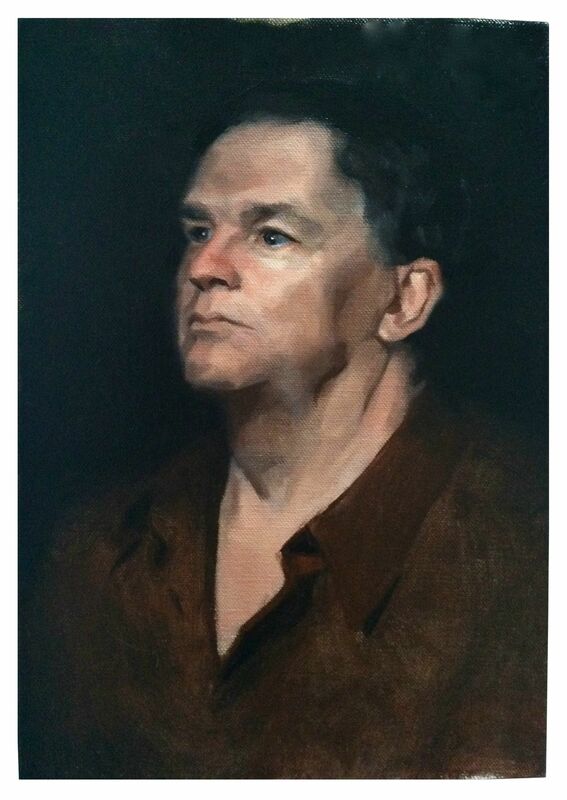 The brush and stroke of the portraitist wraps them together beautifully. Well done everyone.